The heavier duty frame and cover of this IBC bund protects both the bund and IBC from the elements making it ideal for outdoor storage. Complete with frame, roof and roll-up door this model is designed for 1 x 1000ltr IBC. 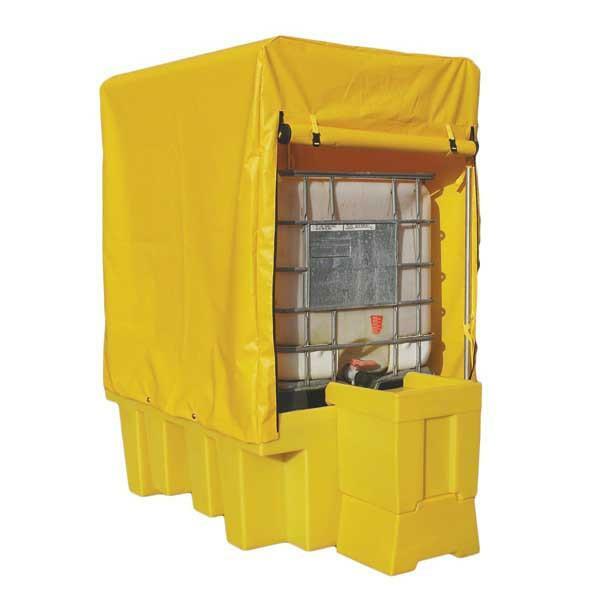 The bund pallet is manufactured from polyethylene which provides total corrosion protection and broad chemical compatibility. Base fork pockets are provided for easy loading onto a forklift truck. Most importantly this item meets legislation ensuring your compliance with UK, EC and Worldwide regulations.